Arbitration season in Major League Baseball officially began this week with the eligible players filing for the same back on Tuesday. In all, 146 players filed for arbitration. With 30 MLB clubs, that works out to an average of nearly five players per team. Following a trade and some other transactions, the Brewers came in beneath the average with just two players: pitcher Marco Estrada and corner infielder Juan Francisco. Following Tuesday’s filing deadline was a deadline of Friday at noon CT before official figures would need to be exchanged between Estrada, Francisco and the Brewers. It was reported earlier this week that the Brewers were optimistic about avoiding the exchange of salary amounts. To do that meant agreeing on at least a one-year contract with both Estrada and Francisco before noon Friday. That work got done and it was formally announced just after noon that both deals were signed. Joel Sherman tweeted the following contract figures for both players. #Brewers avoid arb with Marco Estrada ( $3,325M, $100,000 available in IP bonuses), Juan Francisco ($1.35M). Marco Estrada: $3.325 million base salary with $100 thousand in available bonuses based on innings pitched. 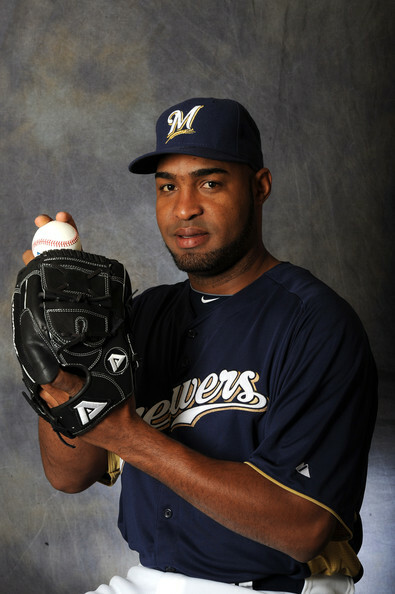 Juan Francisco: $1.35 million base. Tom Haudricourt then added information about Francisco saying that he too had available incentives, but didn’t specify for what nor how lucrative they are. The Milwaukee Brewers entered this week with just a handful of players eligible for arbitration. As individually chronicled, both Carlos Gomez and John Axford agreed to one-year contracts already. Then word was spread that the other two remaining potential arbitration cases were resolved by way of one-year deals as well. Those deals now belong to Marco Estrada and new relief pitcher Burke Badenhop. Brewers beat writer for the Milwaukee Journal/Sentinel tweeted the specific contract details for both men. #Brewers RHP Marco Estrada got $1.955 million and and reliever Burke Badenhop got $1.55 million. Check blog on jsonline.com. Estrada made $486,000 in his final year of pre-arbitration salary. As discussed in the previously linked Axford article, the first year of arbitration eligibility results in a significant jump in compensation. Estrada will make just over four times as much in 2013 as he did last season. Part of that reflects the change in his role to full-fledged rotation member. Badenhop’s situation can be a tricky one at times. Eligible for arbitration, new team who hasn’t seen you firsthand. Often these cases (like Jose Veras last year) go all the way to a hearing. Fortunately, Badenhop is more realistic about his value and got this out of the way. He is now free to focus solely on physical and mental preparation for the season without the annoyance of legal proceedings distracting him from those efforts. As a third-time eligible player after being a Super 2 following the 2010 season with the Florida Marlins, Badenhop gets a raise over his $1.075 million salary in 2012. Congratulations to all involved. To both sides for agreeing to fair figures, the players for getting raises and wanting to avoid distraction, and the club for retaining two valuable pieces at acceptable prices. The agents for Brewers closer John Axford, the Beverly Hills Sports Council, tweeted just now that Axford and the team have agreed to terms on a one-year deal avoiding arbitration. The dollar amount should not come as a surprise if you know how contracts and the arbitration process work in Major League Baseball. As a dominant closer in 2011 and an effective one for the majority of 2012, Axford was set for a significant raise over his $525,000 salary. Closers may not be things, but they certainly are paid different than others in the bullpen. Axford has proven worthy of a $5 million salary and then some. As a “Super 2” player, Axford was eligible for arbitration for the first time this year. The jump from team-controlled compensation to that of a potentially arbitrated one is the most impactful in terms of increase to the player and affect on a team’s budget. 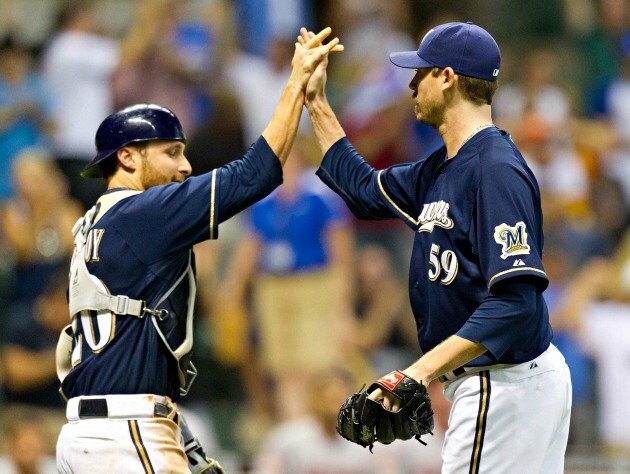 Congratulations to Axford and here’s to a great season! For his part, Axford was noticeably pleased by the resolution of the situation. 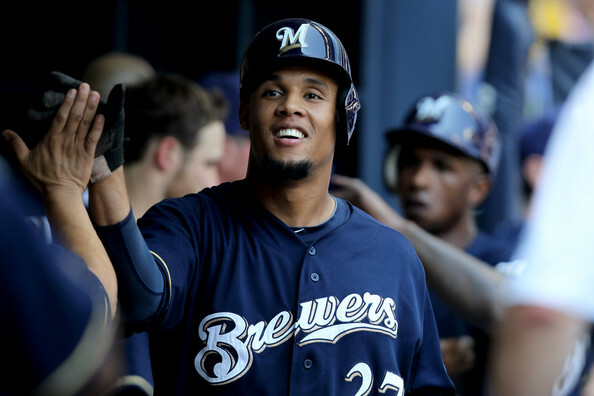 The Brewers announced this evening that they have avoided arbitration with outfielder Carlos Gomez by agreeing to terms on a one-year contract. It’s the second bit of news regarding Gomez today as he was officially named as a member of the Dominican Republic’s World Baseball Classic roster earlier this afternoon. Brewers.com beat writer Adam McCalvy later tweeted out the value of the deal which is $4.3 million. The team doesn’t directly comment on the values of their contracts. This contract, as with nearly every single arbitration-avoiding contract, represents a raise for Gomez. He made $1,962,000 in 2012 according to Baseball-Reference.com. As this is Gomez’ fourth time being eligible for arbitration, a significant jump had to be expected. 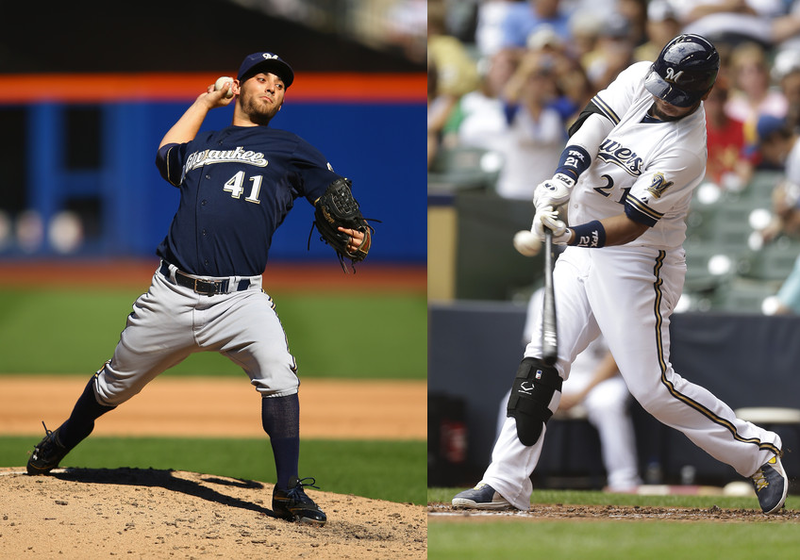 Gomez agreeing leaves three Brewers still eligible for arbitration. The Milwaukee Brewers announced today that they have agreed to terms on a one-year contract with LHP Chris Narveson, avoiding arbitration. Narveson, 31, is coming off a season mostly loss due to injury. He made only two starts, leaving the second after only 4.0 innings pitched after giving up five runs. He is eligible for arbitration for the first time and after a year like he had, there wasn’t exactly a whole lot of leverage on his side so a deal was probably worked out fairly easily. 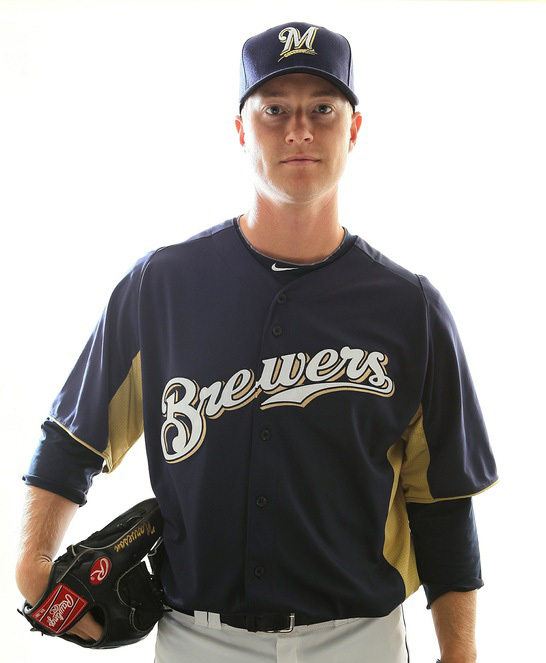 Even if healthy, Narveson is not guaranteed a spot in the rotation in 2013 for Milwaukee (though I have him solidly projected there) because of an influx of youthful options including Wily Peralta, Tyler Thornburg, Mark Rogers, and last year’s standout Mike Fiers. Financial terms of the one-year pact were not immediately announced. The Brewers have four players remaining who are eligible for arbitration. If you missed my tweet from earlier this evening (or maybe aren’t on Twitter and rely on blogs for news), Brewers catcher Jonathan Lucroy got some bad news today. The service time cutoff for players who would be eligible for salary arbitration under the “Super 2” designation was announced today. As expected, Lucroy fell days short of meeting the requirement. You may say “So what? Luc just signed a five-year contract so he’s not arbitration eligible anyway.” You’d be factually correct, should you say this, but that’s also not the entirety of the situation. In the negotiations regarding Lucroy’s extension a stipulation was put in place to compensate Lucroy if he wound up qualifying for Super 2 status. 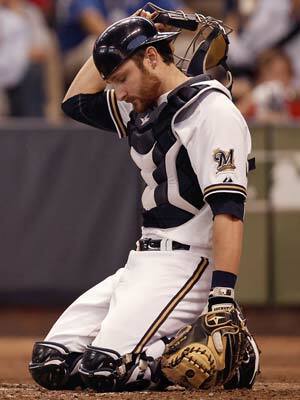 The stipulation stated that Lucroy would be paid an additional $2 million. They put that language in the contract because players achieving Super 2 status earn more money during the first six years of team control. As Lucroy was giving up that opportunity should he have qualified, the extra money was there to help make up the difference in what he might have made in the additional year of arbitration eligibility. The bottom line here is the contract extension will pay Lucroy $11 million instead of $13 million. I’m sure it’s a bit of a bummer for Luc, but it’s the way the system works right now. The silver lining from a team perspective though is that they now have an additional $2 million in the 2013 budget.